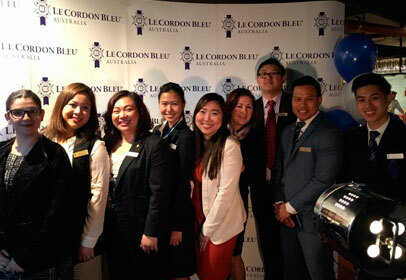 Le Cordon Bleu Sydney hosted a gathering for 40 key Industry Partners at Nel’s Restaurant for an Appreciation and Networking Lunch. The gathering was represented by industry partners from Four Season Hotel, Qantas, IHG, Hilton, Park Hyatt, Blackstar Pastry and Sofitel to name just a few. Their continuous support in facilitating a learning environment for Le Cordon Bleu students throughout industry placement is recognised as a key element to the success and foundation of the Work-Integrated Learning program. Our partners participated in a degustation lunch created and personalised by Chef Nel Robinson. Le Cordon Bleu students also contributed to the event by assisting the kitchen and front of house operations on the day, showcasing their talent and passion to the industry. The event also provided an opportunity for our industry partners to also network with each other about why they choose Le Cordon Bleu students as a preferred source of support for their establishment.